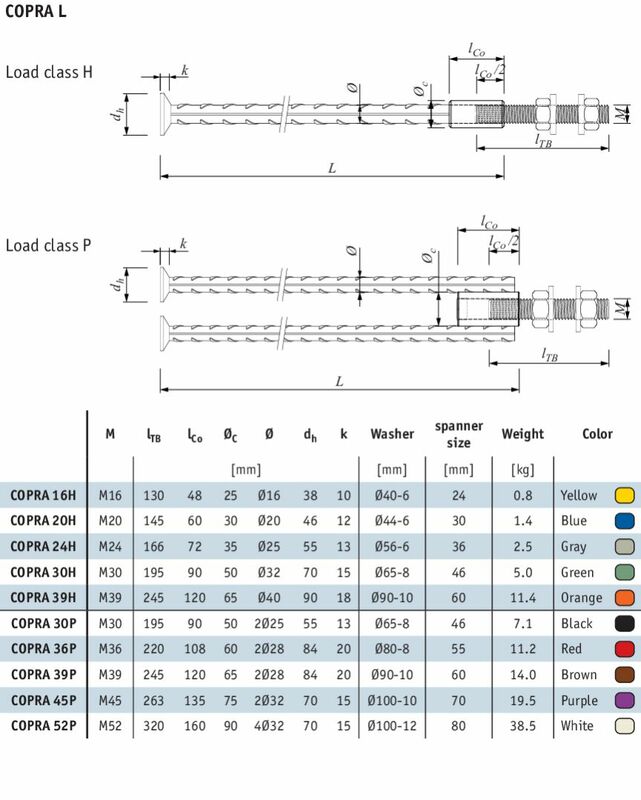 The COPRA® Anchoring Coupler is a rebar anchor with female threads for bolted connections in precast concrete structures. 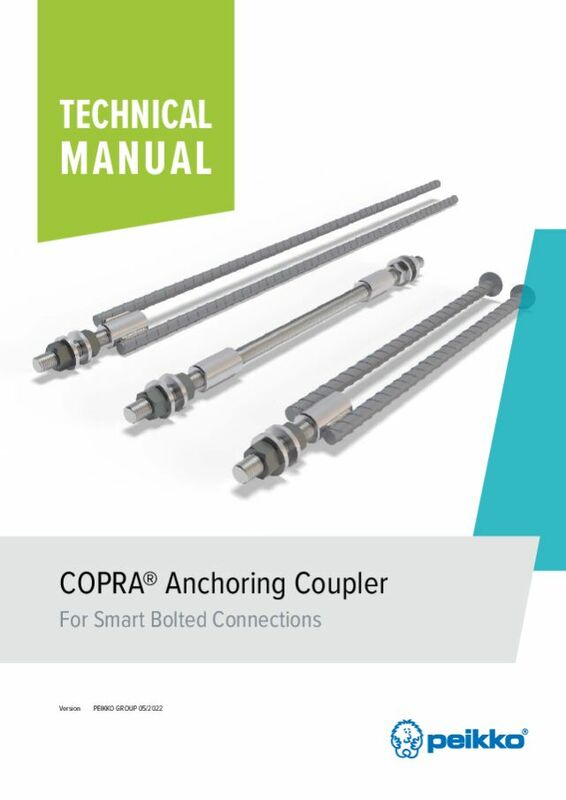 COPRA® Anchoring Couplers transfer tensile, compression, and shear forces through the connection during erection and in the final stage. 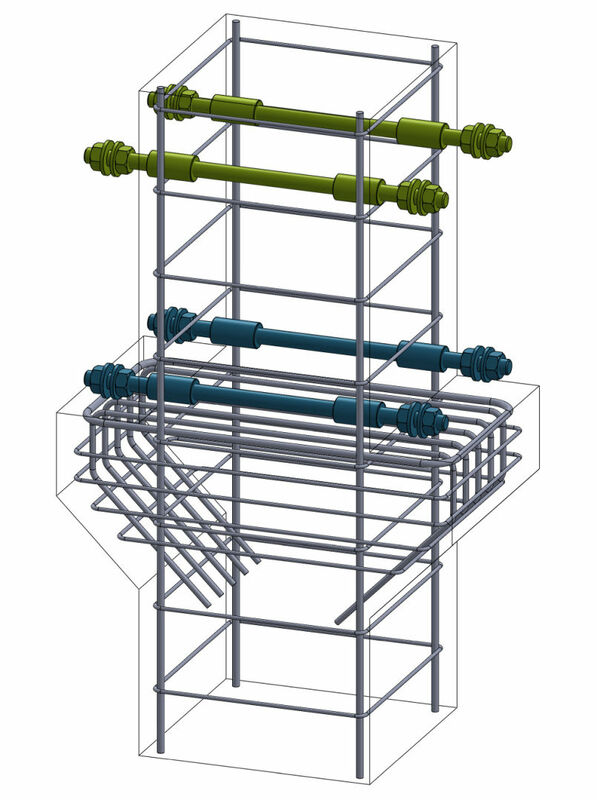 COPRA® can be adapted to all types of concrete structures. 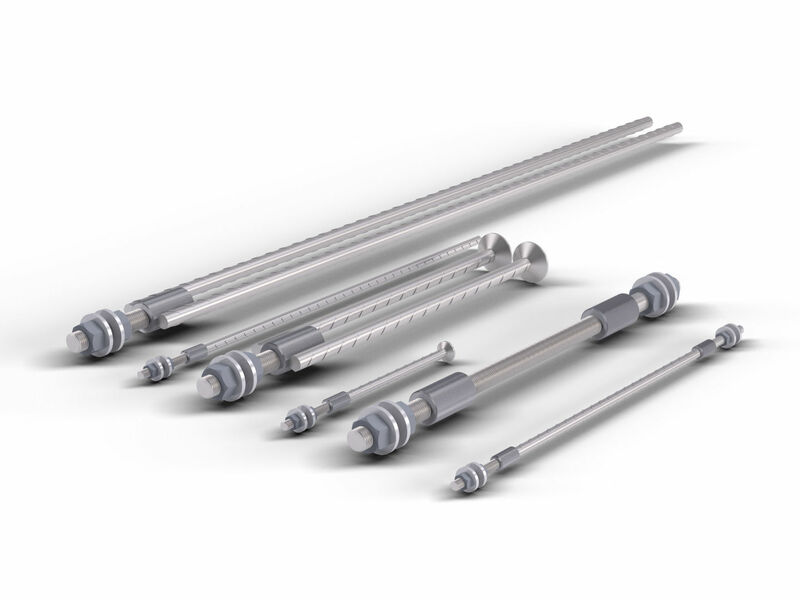 Hidden COPRA® Anchoring Couplers with removable threaded bars avoid the risk of protruding parts being damaged during construction. 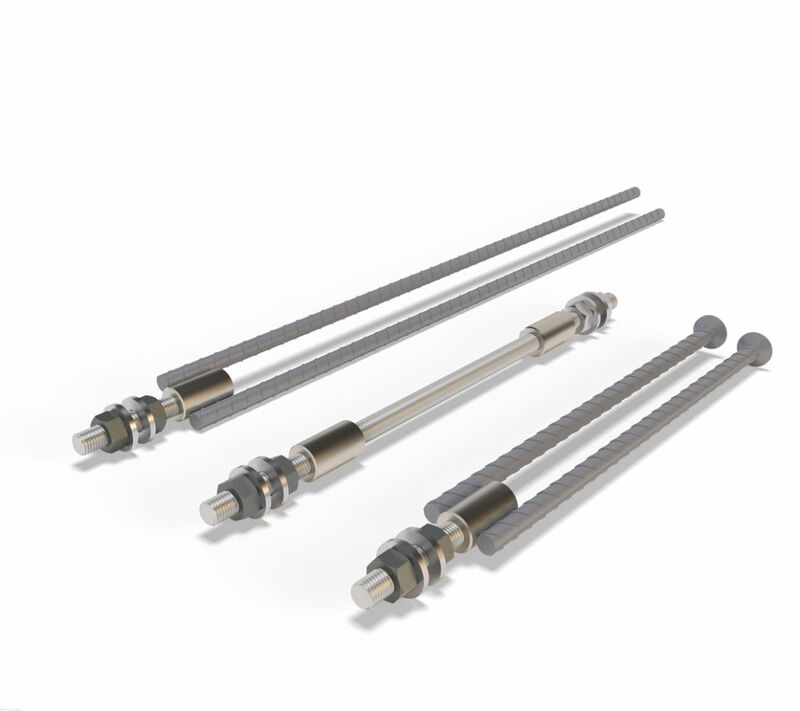 An anchoring coupler with straight anchor bars is intended for use in structures with sufficient depth. Alternatively, anchor bars can be bent to fit in shallow concrete members. 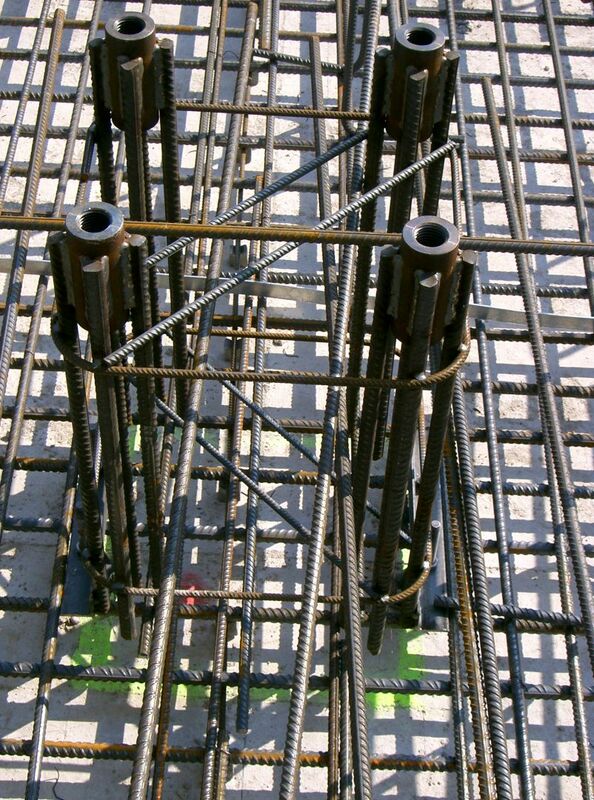 NOTE: Lap lengths of anchor bars are calculated for concrete grade C25/30 in good bond condition. 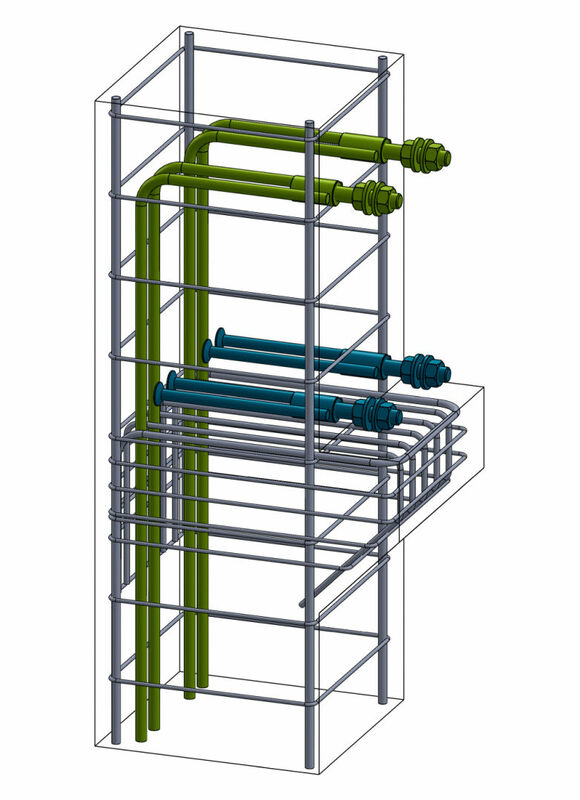 An anchoring coupler with headed anchor bars, primarily used in columns and other shallow structures. 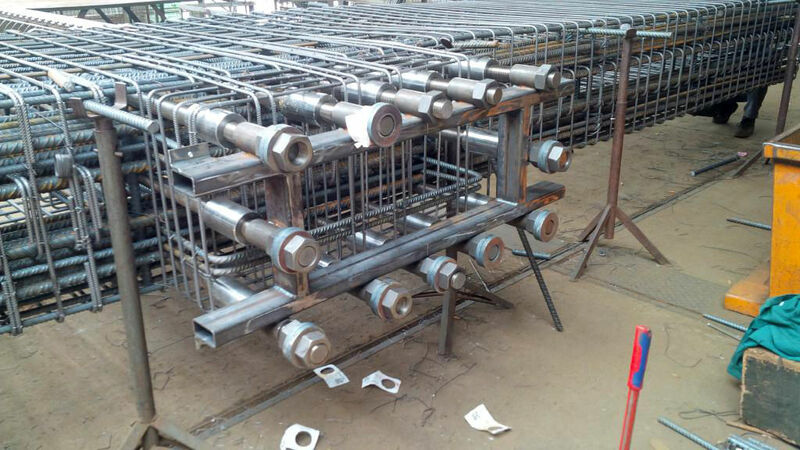 NOTE: The total length of the headed anchoring bars should be defined according to the dimensions of the concrete member and verified according to CEN/TS 1992-4-2. An anchoring coupler used for connecting elements from opposite sides of the column - for example in double-sided arrangement of beams. 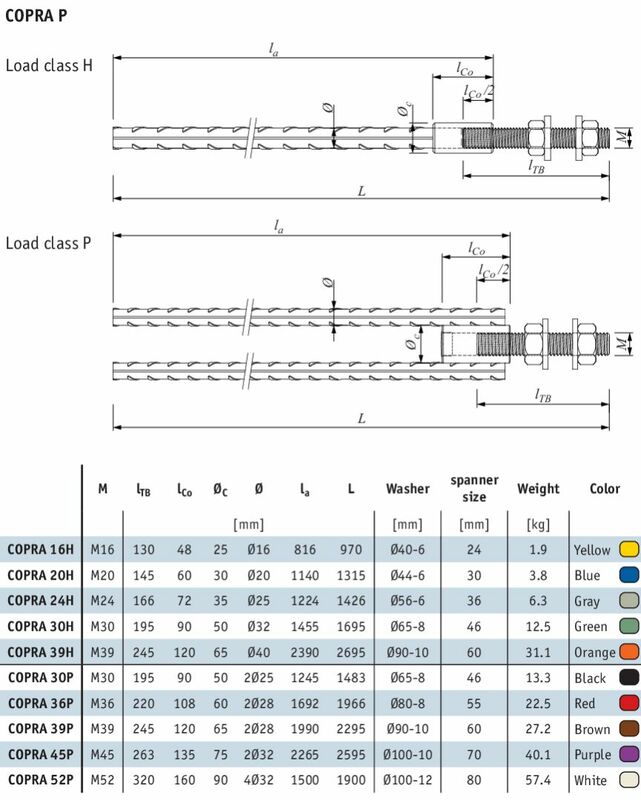 NOTE: The total length of the double-sided COPRA® Anchoring Coupler should be defined according to the dimensions of the concrete member. 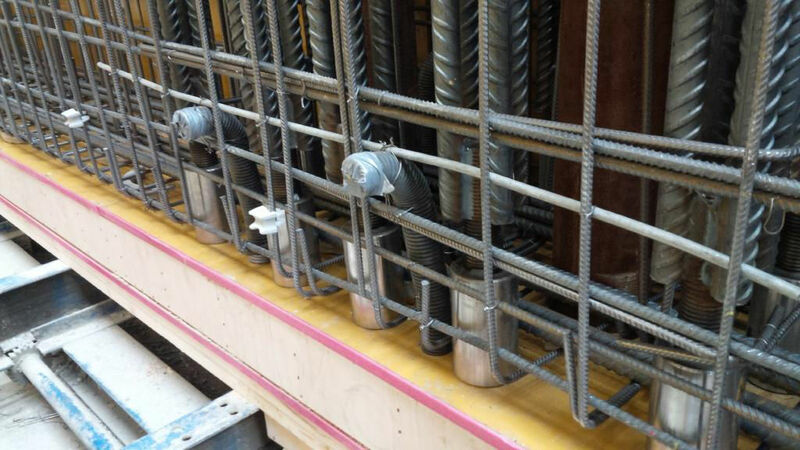 BECO® Beam Shoes are used together with COPRA® Anchoring Couplers to create fast moment-resisting connections between precast concrete beams and precast concrete columns. 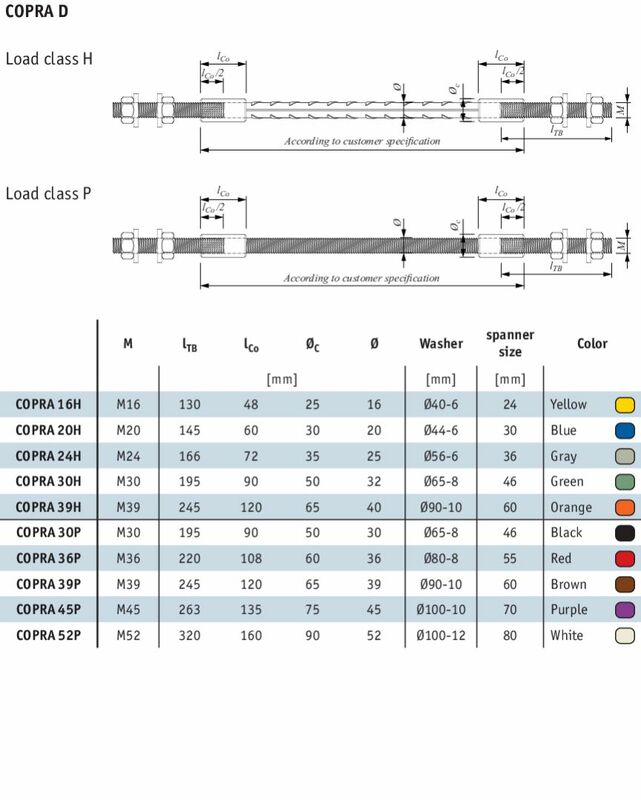 The BECO®-COPRA® connection is suitable for most loading conditions, from light to heavy.